Swami Adgadanand Ji Maharaj, a most famous and religious personality of the present, has been described the “Yatharth Geeta” in the simple form which was disseminated by the Lord Krishna a long ago. 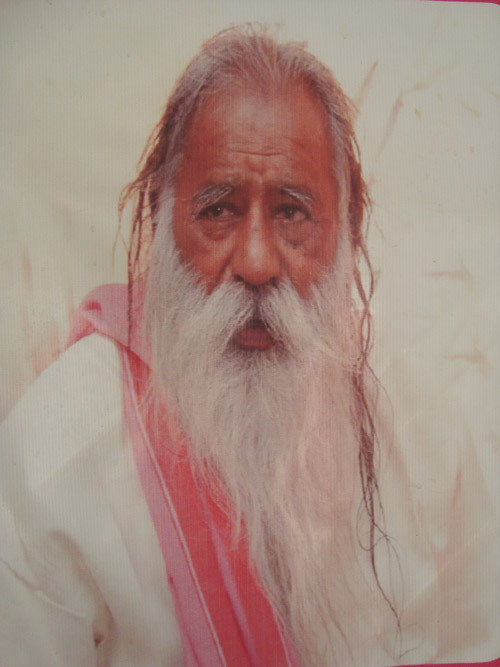 It is considered that Swami Adgadanad Ji Maharaj came to his Guru “Saint Paramanand Ji” in the month of November in 1955 in the search of truth when he was 23 years old. 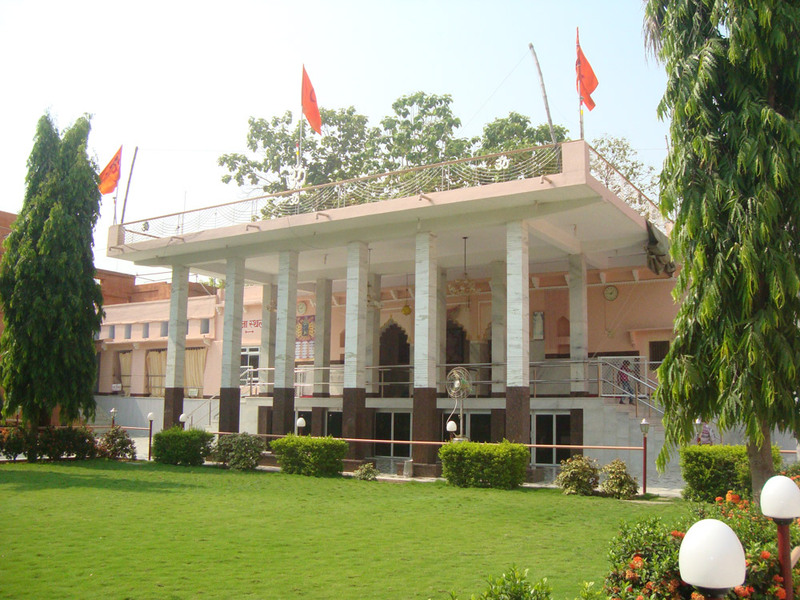 Swami Parmanand Ji Ashram was located in the dense forest of Chitrakoot Anusuiya, Satna, Madhya Pradesh, India. He was living in the forest of wild animals without any facilities. His such type of living denotes that he was a real sage. He already knew and declared his disciples that an adolescent man can reach here anytime to search for the truth. He is enthusiastically looking for to go further than the life periodicity. Swami Adgadanand Ji Maharaj was not paying attention too much towards the writing. He was much likely fascinated in the religious speech through the godly directions. 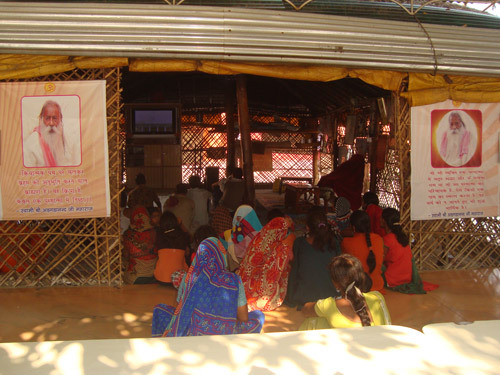 He started contributing towards the social goodness through his spiritual speech. The famous book by his Guru is “Jeevanadarsh and Atmaanubhooti” based on the ideal and spiritual life of the Paramhans Paramanand. These collections are indication of his life outline including various surprising incidents. 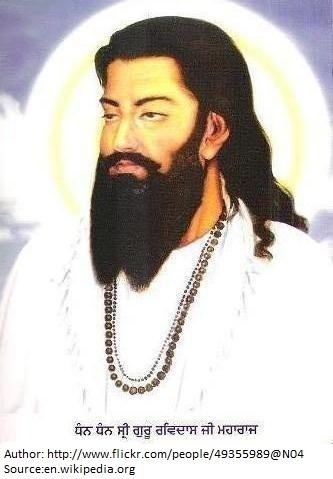 He is a great saint who has never declared about his attained divinity. He has presented himself only to the goodness of the society people and helps them to know the reality of the real truth. It is considered that he was deeply meditated for the long fifteen years (without any food, water or sleep) in the closeness of his Guru. The Geeta was first described by the Lord Krishna to the Arjuna during the Mahabharata (war between Kauravas and Pandavas) which can be described as a religious chant expressing the spiritual gospel. It is a rhythmical conversation between the divine teacher and the committed pupil. Geeta was first explained by the Lord Krishna to the Arjuna during the war. But it was also listened by the Sanjay from afar. This divine vision of the Sanjay was gifted by the Ved Vyas. The Geeta is everything which cannot be learned; it can only be realized and experienced through the devotion. It shows us the actual path of life which goes towards the enlightenment. 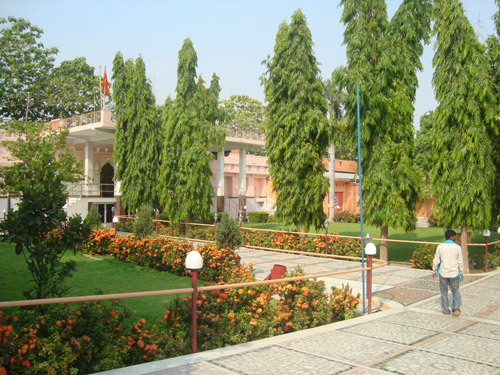 The Ashram of the Swami Adgadanand Ji Maharaj is located in the Mirzapur district (near Varanasi) of the Uttar Pradesh state, India. It is very easy way to reach to the ashram. One can reach to the ashram by road, flight or train. The Ashram is located at 17 km distance from the Chunar. The Ashram is located at 50 km distance from the Mughal Sarai. 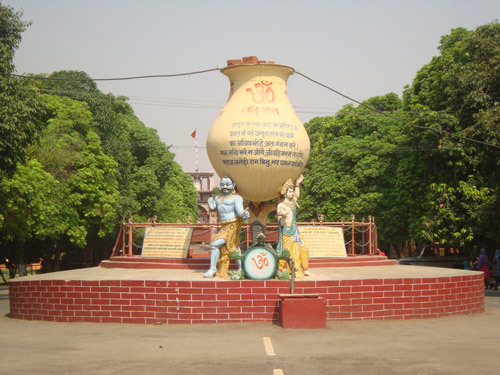 The Ashram is located at 50 km distance from the Mirzapur. The Ashram is located at easy to reach place. There are many railway stations in the Varanasi like Varanasi Junction Railway Station, Varanasi City Railway Station, Manduadih Railway Station and Bhulanpur Railway Station from which one can easily reach to the ashram through the auto-riksha, taxi or other means. Nearest Airport is Lal Bahadur Shastri Airport Varanasi and is well connected to the airlines from all the major cities of the India. 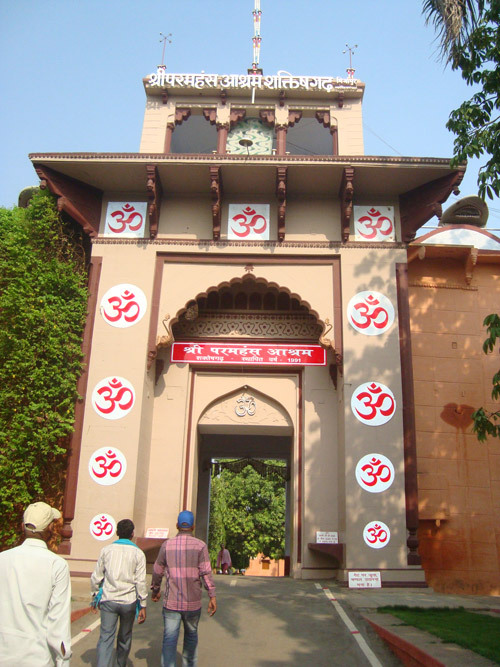 This is a grand entry gate to the Shri Paramhans ashram. This is an Amrit Kalash located in the ashram. 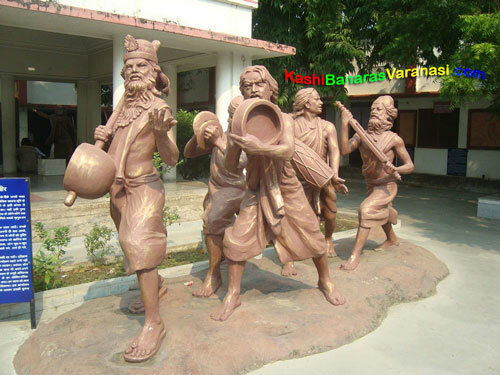 A big Kalash is placed near to the well in the ashram showing a real message of the Swami Adgadanand Ji Maharaj. This is a beautiful and attractive campus of the ashram full of the greenery scenes. How clean, calm and neat the campus environment is. 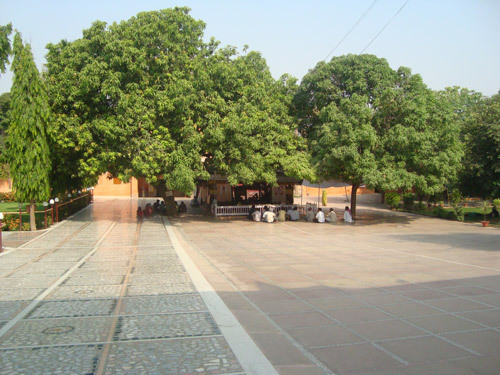 This is a place where Swami Adgadanand Ji Maharaj is used to preach to his followers. A crowed of the followers is busy in hearing the speech of the Swami Adgadanand Ji Maharaj. 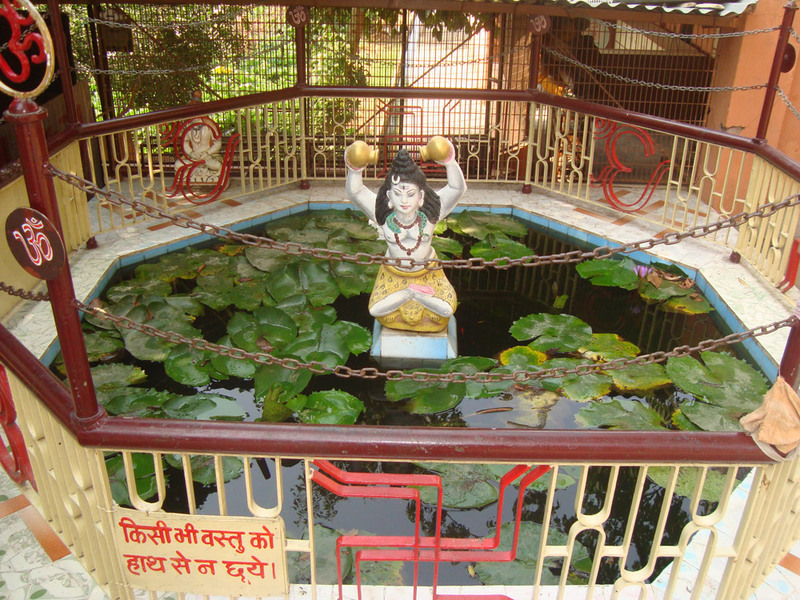 This is a beautiful small pond located in the campus of the ashram. Lotus flower plants are growing well and looking very attractive in the pond. 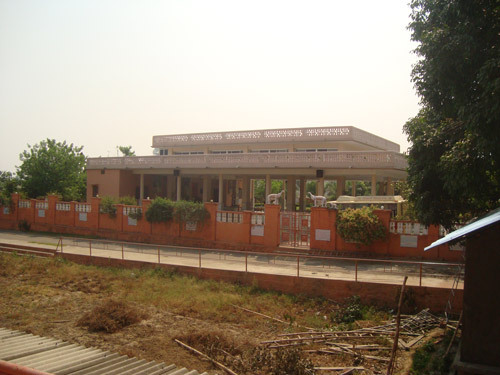 This is the front view of the ashram campus of the Swami Adgadanand Ji Maharaj. A beautiful park is there in front of the ashram with well lighting system. This is the front view of the hut where Swami Adgadanand Ji Maharaj is giving speech to his followers. 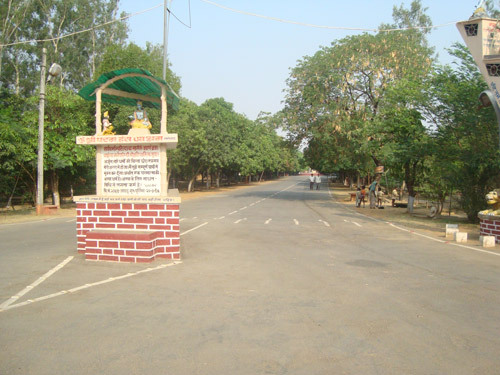 This is the main road going straight to the ashram of the Swami Adgadanand Ji Maharaj. 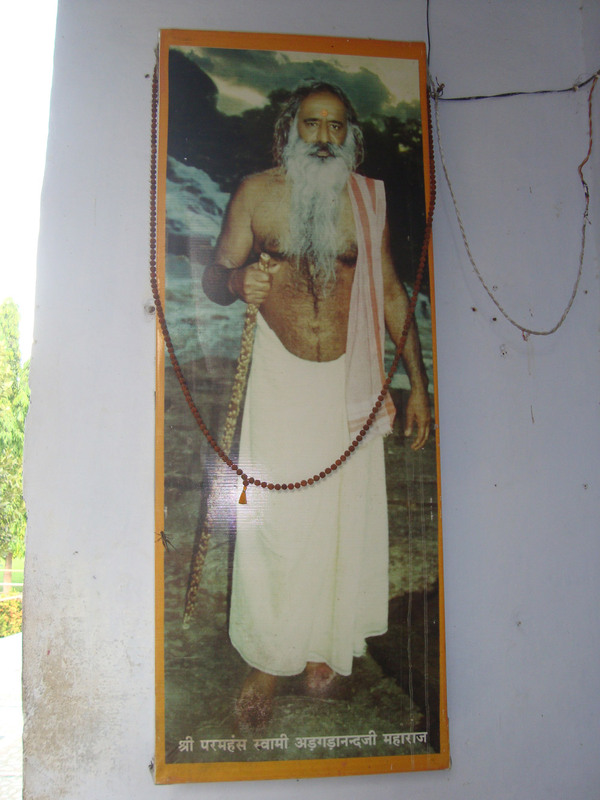 Photo of the Swami Adgadanand Ji Maharaj placed on the wall of the ashram. This is the photo of the ashram of the Swami Adgadanand Ji Maharaj. The environment of the ashram is very clean and green looking beautiful. This is the poster on the wall of the ashram showing photo of the Guru of Swami Adgadanand Ji Maharaj (Shri Paramhans Ji Maharaj) and his Lokoktiyan.